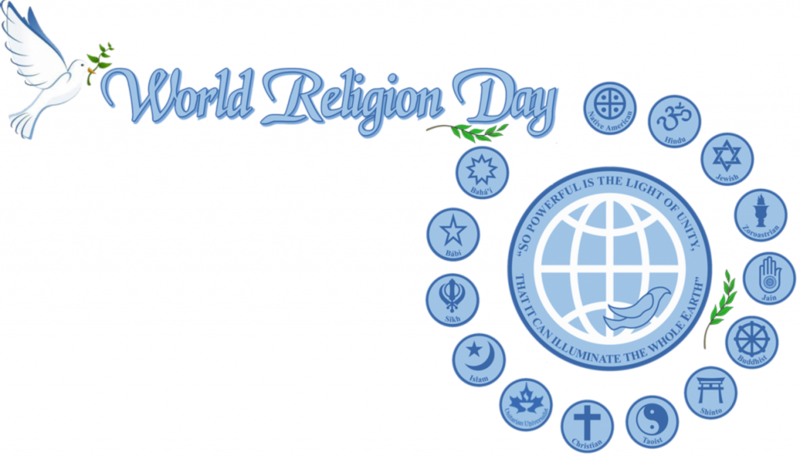 With the collaboration of the UU Library of World Religions, the Bahá’í community of Second Life has been promoting World Religion Day celebrations the third Sunday of January since 2013, each one lasting approximately two hours. Below is a brief summary of those events, in reverse chronological order. 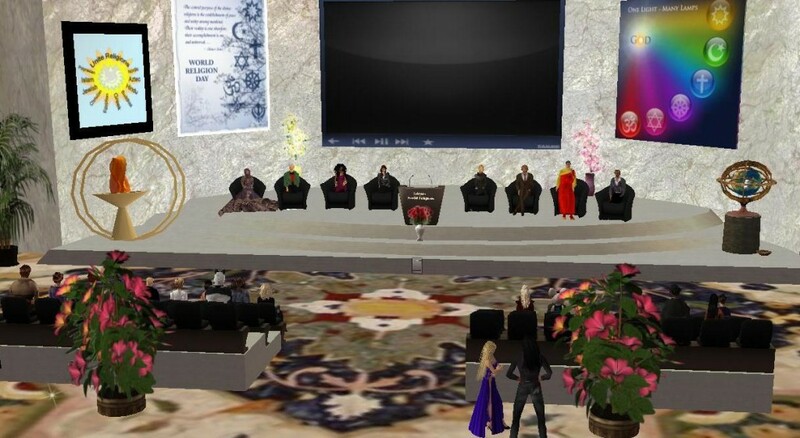 A panel of seven representatives of different religious communities in Second Life explored how the teachings of the different world religions can be seen as encouraging their followers to approach the beliefs and practices of other faith groups, not merely with forbearance, but also with true appreciation for what makes us different and the desire to learn valuable lessons from each other. 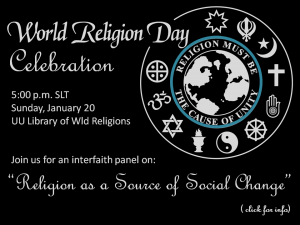 This event included the inauguration of the new building of the Library of World Religions, including a significant increase in the size and diversity of the book collection. It broke the record for attendance, logging 65 persons attending in total. 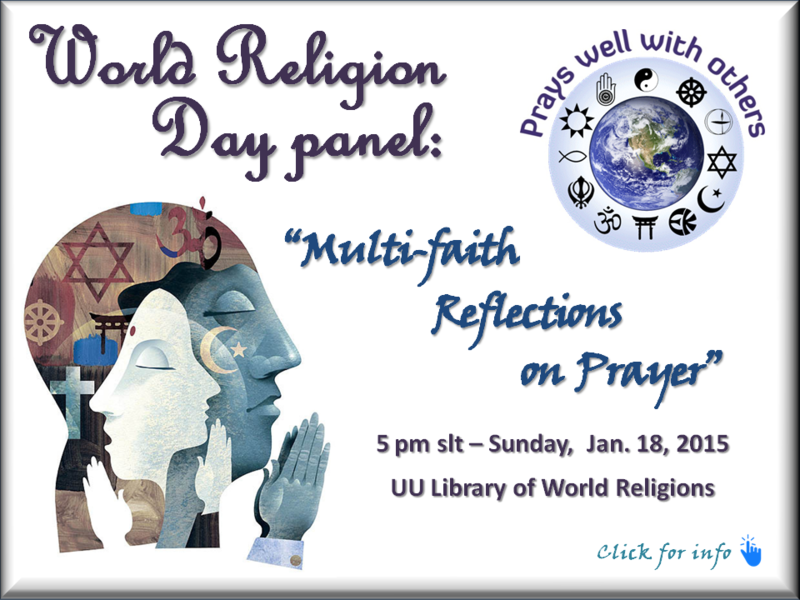 The 2015 World Religion Day celebration included 10 panelists who presented “Multi-faith Reflections on Prayer” to a total audience of some 50 people among comings and goings. It was followed by a round of prayers for interfaith harmony and concluded with open discussion. 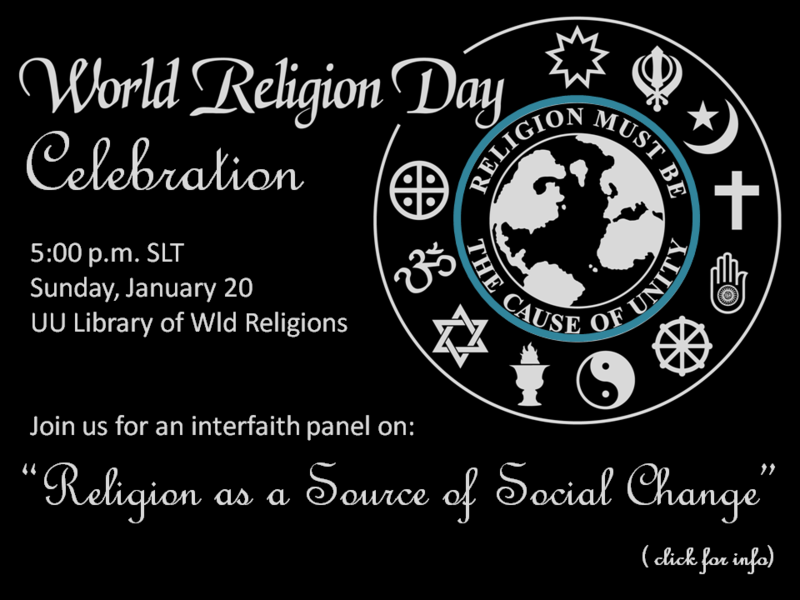 You can see the Baha’i contribution to this panel here, and a machinema video of the entire event here. 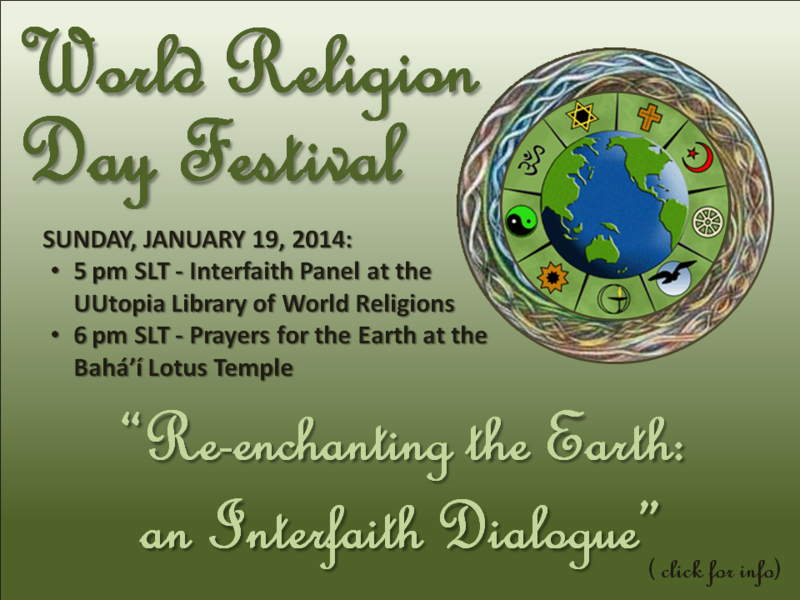 The 2014 World Religion Day celebration featured a panel of eight representatives of different religions on “Re-enchanting the Earth” (see the Baha’i contribution here). 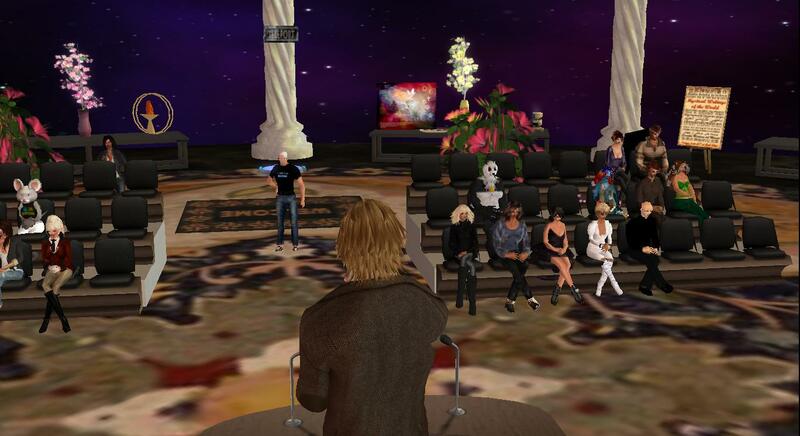 The event was attended by over 45 persons at one point and hit the “What’s Hot Now” listing in Second Life. 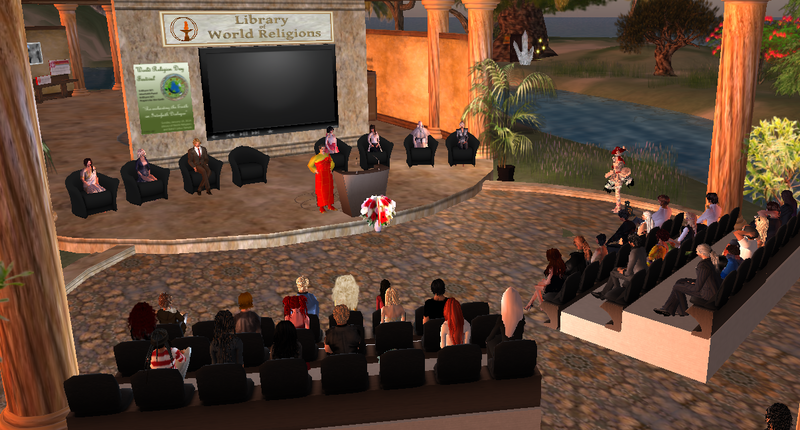 As a result, the UUtopia region was unexpectedly flooded with impromptu visitors who explored the Library of World Religions and Baha’i Complex for the next couple of hours. 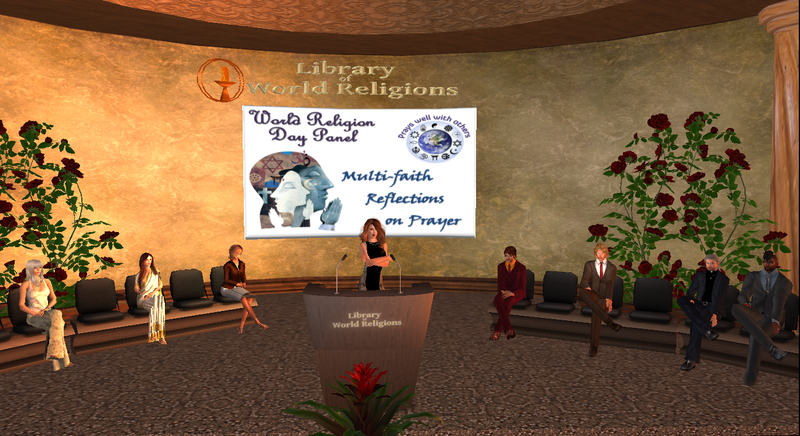 The first World Religion Day celebration in Second Life took place in 2013 was attended by over 20 persons and involved a panel of eight representatives from different religions who spoke on the topic of “Religion as a Source of Social Change”. 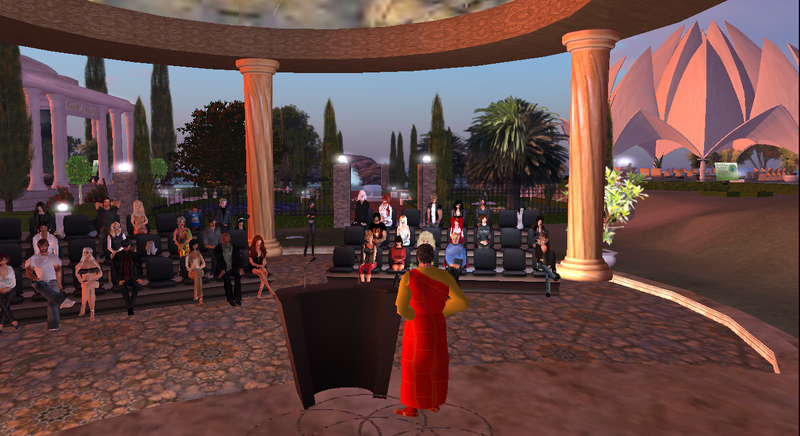 Being a new to Second Life and even uncommon in the real world, there was some apprehension as to how it would turn out. However, the open discussion afterwards confirmed that it had been characterized by a rarified environment of spirituality, interfaith harmony, unity in diversity, and mutual respect and appreciation. You can read the Bahá’í contribution to this panel here.